The Big Fat Year-End Kiss-Off Comedy Show plays Jan. 1 at 142 Throckmorton Theater, 142 Throckmorton, Mill Valley, at 7:30 pm ($22–$25; 415.383.9600); Jan. 4 at the Sebastiani Theater, 476 E. First St., Sonoma, at 7pm ($20; 707.996.9756); and Jan. 6 at the Raven Theater, 115 North St., Healdsburg, at 8pm ($20; 707.433.6335). PLENTY OF MATERIAL Jokes will not be hard to come by as Will Durst and company look back on 2017. 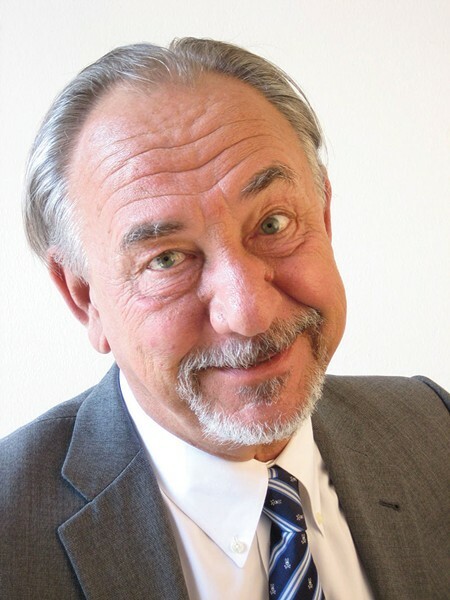 'Under normal circumstances," says comedian Will Durst, "making jokes about imminent nuclear war and the total annihilation of the human species would not be appropriate. But at this year's Big Fat Year-End Kiss-Off Comedy Show, there probably will be some stuff about Trump and Kim Jong-un because megalomaniacs with daddy issues and strange haircuts are always good for a gag." Appropriate or not, Durst has returned, once again, for his annual, year-ending comedy showcase, featuring a cavalcade of six comics: Durst and his wife, Debi, Johnny Steele, Mike Bossier, Mari Magaloni and Arthur Gaus. Together, they will be appearing at Sonoma's Sebastiani Theater on Jan. 4 at the Raven Theater in Healdsburg on Jan. 6. Blending skits and bits and standup sets, the sextet will hit Sonoma County fueled by a sense of comic conviction, a prickly touch of moral outrage and a wicked (and hilarious) sense of humor. The show marks the 25th year that Durst and company have staged the increasingly popular show, gradually turning New Year's week into his own personal big, fat, year-end holiday. "We actually didn't call the show 'Big Fat' for years," Durst says, "because at first it was lean and mean. But it grew, and now we're doing, like, 13 shows in 12 cities. We're doing Sonoma County twice, and two venues in Marin. We're doing Walnut Creek. We're spreading our mocking and taunting from one end of the Bay Area to the other." It will not be hard, he says, to find things about 2017 to make fun of. "Some years," he says, "there is just not much to work with, not very good grist to run through the comedy mill. But this year—wow! The grist has been ultra-fertile and fecund. We have enough material for two, three hours. So we get to cherry-pick the very best stuff. And it's gonna be amazing." Among the various topics the team will be tackling, he says, are the National Anthem controversy, Bob Dylan's Nobel Prize acceptance speech and the recent Star Wars movie. "And of course," he says, "I might take a few swipes at the current occupant of the White House. Because until the bombs actually fly, he's still pretty funny."